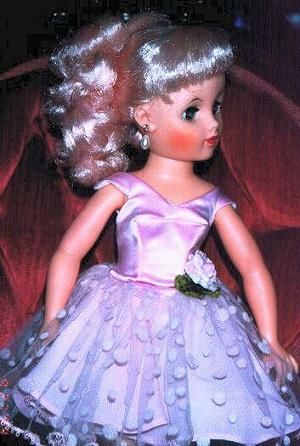 I love the fashion dolls of the 1950's that had pink rooted hair. They were usually ballerinas or fairy princess dolls. 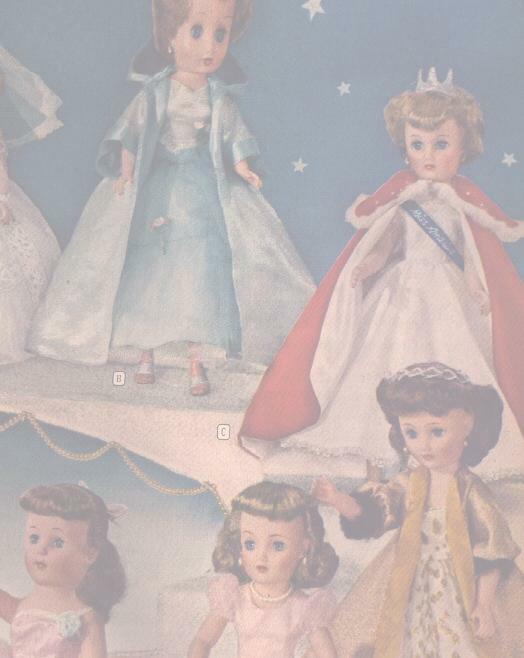 Here are some photos of the fashion dolls with pink hair in my collection. 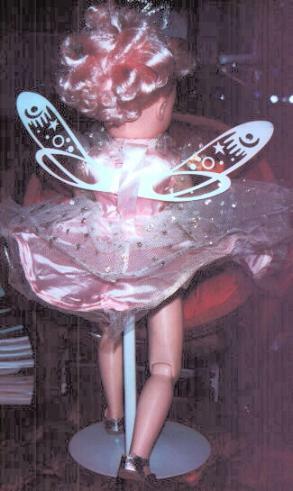 This is Uneeda's Magic Fairy princess doll. She was manufactured in 1957. She is all hard plastic with a vinyl head and is jointed at the arms, legs and knees. 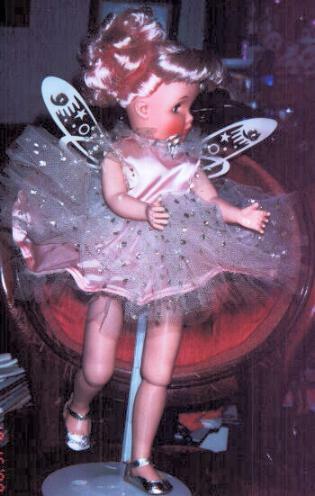 She has rooted pink hair and is wearing the original Uneeda outfit with plastic wings with little bells on the end, and her little silver slippers. She is 21" tall and is "spring" jointed at the knees. This is a ballerina doll marked EEgee on the back of her head. She is from 1958 with rooted pink hair and is 17" tall. She is wearing a modern dress made for the Madam Alexander Coco doll. Here she is in a ballet tutu I made for her from a vintage pattern to try to replicate what she probably originally wore.